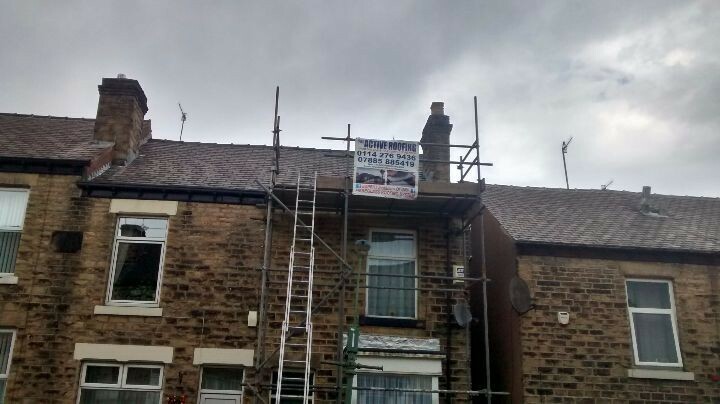 1st Active Roofing carried out the complete roof replacement of this terraced property in Hillsborough, Sheffield for one of our regular landlord customers. 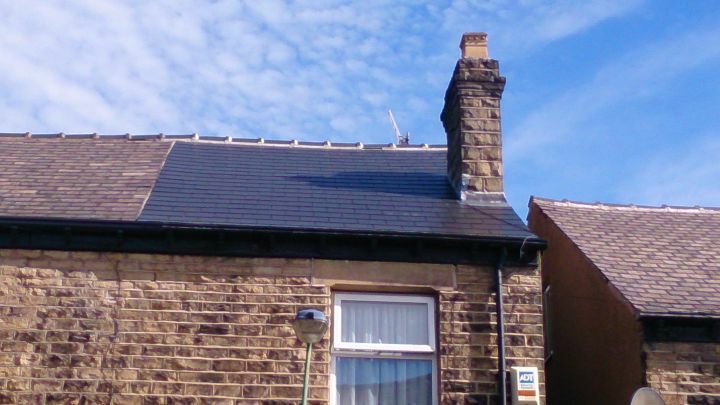 All work was carried out in accordance with buildings regulations. 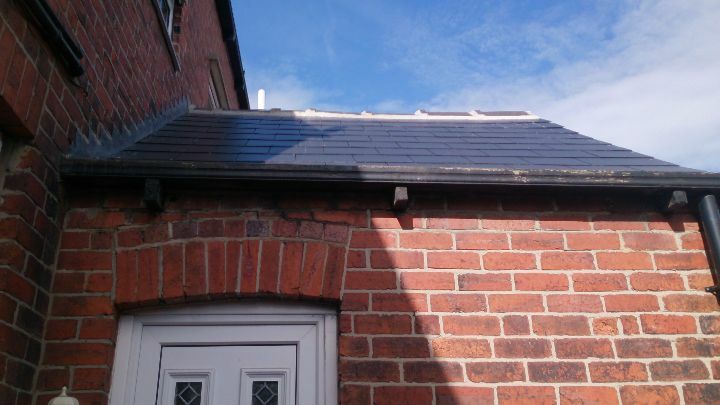 We removed the existing roof covering and fitted king span insulation, two-by-one timber laths and new felt, before recovering the roof with modern fibre cement slate roofing tiles. 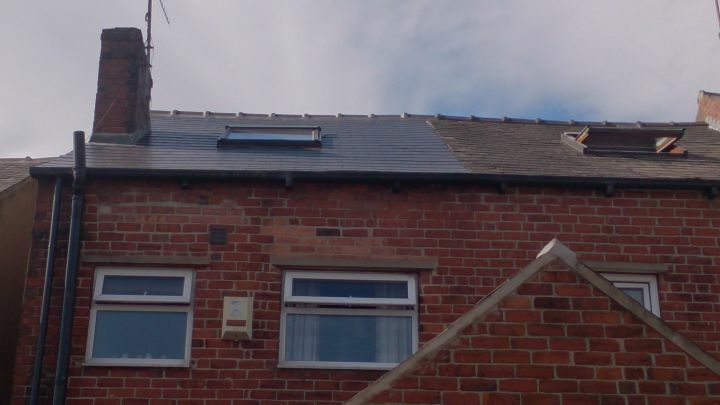 We also recovered the roof of an off-shot extension to the rear of the property.